Retired President, UPS International, and Senior Vice President, United Parcel Service, Inc.
Daniel J. Brutto, 62, retired as President of UPS International and Senior Vice President of United Parcel Service, Inc., a global package delivery, supply chain management and freight forwarding company, having served in these capacities from 2008 to 2013. From 2016 to 2017, he served as Executive Chairman of Radial, Inc., a global fulfillment, customer care and omnichannel technology company; from 2015 to 2016 he served as Vice Chairman of eBay Enterprise/Innotrac, the predecessor business to Radial, and prior to 2015 he served as a director of Innotrac. Mr. Brutto had over 38 years of experience at UPS, serving in various areas with increasing levels of responsibility, including global operations, finance, accounting, information systems, mergers & acquisitions, marketing and business development. His service at UPS included President, Global Freight Forwarding and corporate controller. He has served as a director of ITW since 2012 and currently serves as a director of Sysco Corporation. He has not served as a director of any other publicly traded company in the last five years. In the past he has served on the board of the US China Business Council, the Guangdong Economic Council and the Turkey Economic Advisory Council. He was also a delegate to the World Economic Forum, Davos Switzerland, from 2009 to 2013. Mr. Brutto’s significant strategic, operational, and financial leadership experience with a major global company, including the establishment of operations in 35 countries, along with his significant international business experience, bring valuable perspectives to our Board. Susan Crown, 60, has served as Chairman and CEO of Owl Creek Partners, LLC, a private equity firm, since 2008. She is also the founder of Susan Crown Exchange Inc., a social investment organization. She served two terms as a Fellow of the Yale Corporation, and is currently Chairman of Rush University Medical Center and a director of The Brookings Institution as well as several other civic and not-for-profit organizations. From 1984 to 2015, Ms. Crown served as Vice President of Henry Crown and Company, a business with diversified investments. She has served as a director of ITW since 1994 and currently serves as a director of Northern Trust Corporation. She has not served as a director of any other publicly traded company in the last five years. Ms. Crown’s experience includes executive experience in diversified manufacturing, management, strategy, and real estate. Ms. Crown’s long-standing board service at a global banking and financial institution and her extensive board service with many civic and not-for-profit organizations bring valuable perspectives to our Board. James W. Griffith, 65, retired as President and Chief Executive Officer of The Timken Company, a manufacturer of bearings, alloy and specialty steels and components, having served in that capacity from 2002 to 2014. From 1999 to 2002 he served as Timken’s President and Chief Operating Officer. Mr. Griffith joined Timken in 1984 and held positions in various functional areas of Timken with increasing levels of responsibility, including purchasing and logistics, manufacturing and international operations. From 1996 to 1999, he led Timken’s automotive business in North America and Timken’s bearing business activities in Asia and Latin America. Mr. Griffith is currently a director of AB Volvo, a commercial transport solutions company, and has served as a director of ITW since 2012. He previously served as a director of The Timken Company and Goodrich Corporation. He has not served as a director of any other publicly traded company in the last five years. He also previously served as a director of the US China Business Council and a number of other industry and not-for-profit organization boards. Mr. Griffith’s extensive experience as Chief Executive Officer of a global industrial manufacturer, along with his international business and engineering experience, bring valuable perspectives to our Board. Jay L. Henderson, 63, retired as Vice Chairman, Client Service of PricewaterhouseCoopers LLP (“PwC”), a global professional services firm, in June 2016, having served in that capacity since 2007. He also served as PwC’s Greater Chicago Market Managing Partner from 2003 to 2013 and, prior thereto, Managing Partner of the Cleveland Office. During his career at PwC, Mr. Henderson gained significant broad-based experience working with boards and audit committees of Fortune 500 global organizations across multiple markets and industry sectors. Mr. Henderson has been a Certified Public Accountant since 1977. He has served as a director of ITW since 2016 and currently serves as a director of The J.M. Smucker Company, where he serves as the Chairman of the Audit Committee, and Northern Trust Corporation, where he serves on the Audit Committee, Capital Governance Committee and previously on the Business Risk Committee. He has not served as a director of any other publicly traded company in the last five years. Mr. Henderson also has significant expertise as a participating board member of a number of professional, civic and not-for-profit organizations. Mr. Henderson’s extensive experience in managing and overseeing businesses, working with the boards and audit committees of large public companies, as well as his leadership roles at a major professional services firm and experience with risk oversight, bring valuable perspectives to our Board. Non-Executive Chairman, Conagra Brands, Inc.
Richard H. Lenny, 67, has served as non-executive Chairman of Conagra Brands, Inc. since May 2018. Previously, he served as Chairman of Information Resources, Inc., a privately held producer of market and shopper information, from 2013 to 2018 and senior advisor of Friedman Fleischer & Lowe LLC, a private equity firm, from 2014 to 2016, after serving as an operating partner of that firm. From 2001 through 2007 he served as Chairman, President and Chief Executive Officer of The Hershey Company, a manufacturer, distributor and marketer of candy, snacks and candy-related grocery products. Prior thereto, he served as President, Nabisco Biscuit Company, and President of Pillsbury, North America. He has served as a director of ITW since 2014 and currently serves as a director of Conagra Brands, Inc. and McDonald’s Corporation, and previously served as a director of Discover Financial Services. He has not served as a director of any other publicly traded company in the last five years. Mr. Lenny’s experience as Chief Executive Officer of a global Fortune 500 company and diverse board experience bring valuable perspectives to our Board. E. Scott Santi, 57, has served as Chairman of ITW since May 2015 and as Chief Executive Officer since November 2012. He served as President and Chief Executive Officer of ITW from November 2012 to May 2015 and as President and Chief Operating Officer from October to November 2012. Prior thereto, he served as Vice Chairman from December 2008 to October 2012 and Executive Vice President from October 2004 to December 2008. Mr. Santi also serves on the boards of numerous civic and not-for-profit organizations. He has served as a director of ITW since November 2012 and currently serves as a director of W.W. Grainger, Inc. He has not served as a director of any other publicly traded company in the last five years. Mr. Santi’s deep understanding of the Company’s business operations, operating philosophy and culture, his expertise in the application of ITW’s business model, as well as his demonstrated success and proven quality of leadership, bring indispensable perspectives to our Board and strong leadership as Chairman. James A. Skinner, 74, retired as Vice Chairman and Chief Executive Officer of McDonald’s Corporation, a global restaurant chain, having served in those positions from 2004 to June 2012. Previously, Mr. Skinner served as Vice Chairman; as President and Chief Operating Officer of McDonalds’ Restaurant Group; as President and Chief Operating Officer of McDonald’s-Europe, Asia/Pacific, Middle East and Africa; and as President of McDonald’s-Europe. Mr. Skinner is currently the Executive Chairman of the Board of Walgreens Boots Alliance, Inc. and previously served as a director of Hewlett-Packard Company and McDonald’s Corporation. He has served as a director of ITW since 2005 and currently serves as our Independent Lead Director. He has not served as a director of any other publicly traded company in the last five years. Mr. Skinner’s extensive experience as Chief Executive Officer of a major global corporation and diverse board experience bring valuable perspectives to our Board. 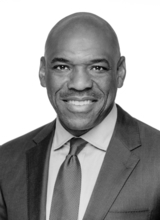 David B. Smith, Jr., 52, has served as Executive Vice President for Policy & Legal Affairs and General Counsel of Mutual Fund Directors Forum, a not-for-profit membership organization for independent investment company directors and an advocate on important policy matters, since 2005. From 1996 to 2005, Mr. Smith held several positions with increasing levels of responsibility at the Securities and Exchange Commission, serving as Associate Director, Division of Investment Management, from 2001 to 2005. He has served as a director of ITW since 2009 and currently serves as a director of Northern Trust Corporation, where he serves as the Chairman of the Audit Committee. He has not served as a director of any other publicly traded company in the last five years. Mr. Smith is a nephew of Mr. Harold B. Smith, an emeritus director of ITW. Mr. Smith’s extensive leadership experience in the finance industry and executive experience with a mutual fund industry organization, along with his legal and regulatory experience, bring valuable perspectives to our Board. Pamela B. Strobel, 66, retired as Executive Vice President and Chief Administrative Officer of Exelon Corporation and President of Exelon Business Services Company, an electric and gas utility company, in October 2005, a position she had held since 2003, previously serving as Chairman and Chief Executive Officer of Exelon Energy Delivery from 2000 to 2003. Prior thereto, she served as Executive Vice President of Unicom and its chief subsidiary, ComEd, having joined ComEd as General Counsel in 1993, where her experience included supervision and oversight of legal matters and risk management. Ms. Strobel has served as a director of ITW since 2008 and is currently a director of Domtar Corporation and State Farm Mutual Automobile Insurance Company. She has not served as a director of a publicly traded company other than Domtar and ITW in the last five years. Ms. Strobel’s executive and legal experience with a leading energy provider, experience with risk oversight and other board experience bring valuable perspectives to our Board. Kevin M. Warren, 56, has been Chief Marketing Officer, UPS International, a global package delivery, supply chain management and freight forwarding company, since June 2018. Prior to joining UPS International, he served as the Executive Vice President & Chief Commercial Officer of Xerox Corporation, a global business services, technology and document management company, from January 2017 to May 2018. Mr. Warren had over 34 years of experience at Xerox Corporation, serving in various areas with increasing levels of responsibility, including as President, Commercial Business Group; President, Industrial, Retail and Hospitality Business Group; President of Strategic Growth Initiatives; President, U.S. Client Operations; Chairman, President and Chief Executive Officer of Xerox Canada; Senior Vice President, Acquisition Transition Office; and Senior Vice President, U.S. Eastern Sales, U.S. Solutions Group. He also serves as a director of a number of professional, civic and not-for-profit organizations. Mr. Warren has served as a director of ITW since 2010 and has not served as a director of any other publicly traded company in the last five years. Mr. Warren’s significant strategic and operational leadership experience with a major global company, along with his significant international experience and commercial acumen, bring valuable perspectives to our Board. Anré D. Williams, 53, has been Group President, Global Merchant & Network Services, of American Express Company, a global services company, since February 2018 and is a member of American Express’ Executive Committee, which is responsible for developing the company’s strategic direction and determining key policies. He was President, Global Merchant Services & Loyalty Group, from 2015 to 2018; and from 2011 to 2015 he was President, Global Merchant Services. Mr. Williams has over 28 years of experience at American Express, serving in various capacities with increasing levels of responsibility, including President, Global Commercial Card; Executive Vice President, U.S. Commercial Card; Senior Vice President, U.S. Middle Market; Vice President and General Manager, Western Region, Corporate Services, and Vice President, Acquisition and Advertising. Mr. Williams has served as a director of ITW since 2010 and is a former director of Ryerson Inc. Mr. Williams has not served as a director of any other publicly traded company in the last five years. Mr. Williams’ significant strategic and operational leadership experience with a major global financial services company, along with his global business experience, bring valuable perspectives to our Board. © 2019 Illinois Tool Works Inc. All Rights Reserved.